Disclosure: This Peach Jam recipe post has been sponsored by the Washington State Fruit Commission. I received a box of Washington State Peaches to help me create this peach jam recipe as part of this years Canbassador program. All opinions are my own. It is peach season and I was lucky enough to receive a nice big box of peaches and nectarines from the Washington State Fruit Commission so I could can with them and a recipe with all of you. Can It Forward 2017 Live event! Hang out with Ball Canning during the Can It Forward Live event on August 5th. Head over here for the details and to enter my Ball Canning Prize pack sweepstakes! 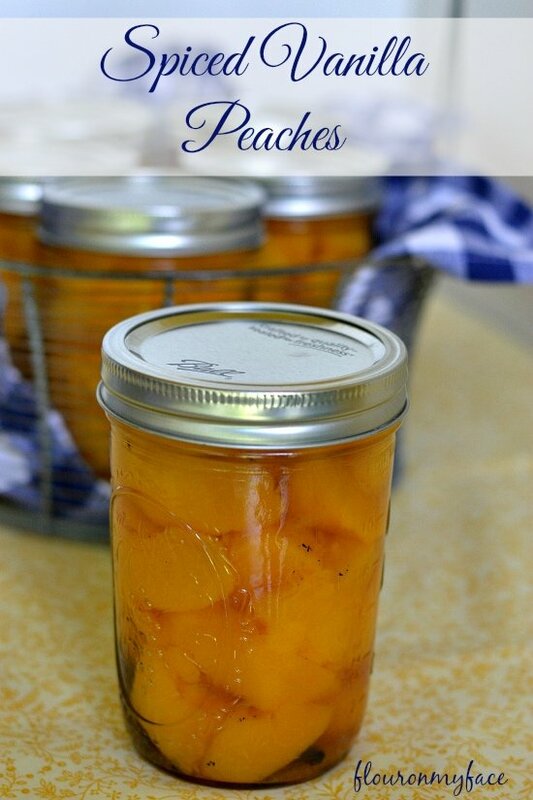 Last year I also had the pleasure of working with the Washington Fruit Commission and shared this recipe for canned Vanilla Spiced Peaches. 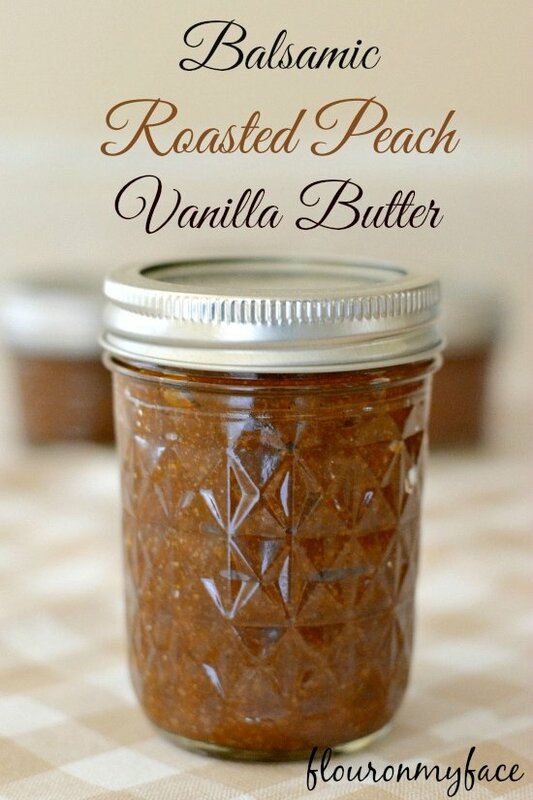 After I made a big batch of the Vanilla Spiced Peaches I still had some beautiful Washington State Peaches left and made this Balsamic Roasted Peach Vanilla Butter recipe. For the past couple of years, I have been having fun canning some really awesome fruit flavor combinations. It has been a long time since I made a batch of plain Peach Jam. Now when I say plain I don’t mean boring. 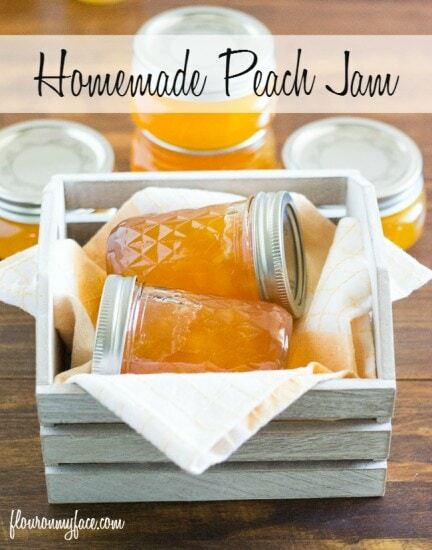 I mean a simple peach jam with no other ingredients. Peach jam has always been one of my favorite jam flavors. I love dipping jalapeno poppers in peach jam. It tastes so good. If you’ve never tried it you should! I have to say I am so impressed with the stone fruit from Washington State. Last month they also sent me some Washington State sweet cherries. I made a couple of batches of Cherry Vanilla Pie filling with them. 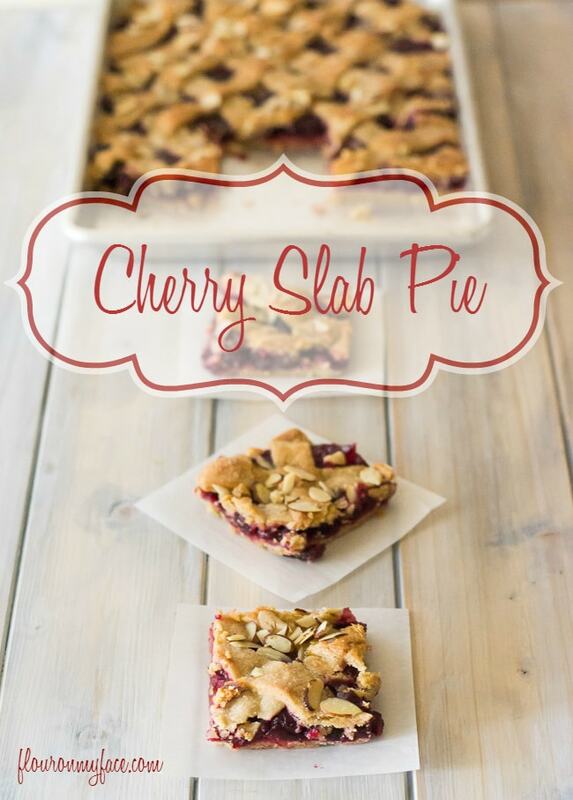 Then I made a Cherry Slab Pie with the Cherry Vanilla Pie Filling. I think the Washington State Fruit Commission has ruined it for me and my kid. The cherries were so sweet and delicious. After they were all gone we picked up another brand of sweet cherries at the grocery store when they were on sale. I kid you not my daughter wouldn’t even eat them because the Washington State cherries tasted so much better. When I asked her why she wasn’t eating the cherries we bought she told me because they tasted terrible compared to the Washinton State Sweet Cherries. So now we have Washington State peaches and nectarines and it’s the same thing all over again. The Washington State Peaches and Nectarines were so sweet and juicy. As a test, I picked up some other peaches and compared the flavors. I have to say there really isn’t a comparison. I don’t know what I am going to do. Well, that’s not true. I do know what I am going to do. I am going to be checking those labels to make sure when I am buying cherries, peaches, and nectarines that they have been grown in Washington State. 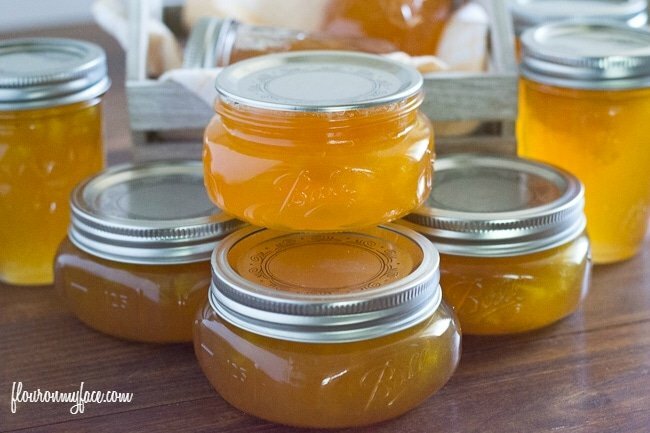 Prepare jars and lids following safe canning practices. Peel, pit and chop peaches into a large bowl. Add 2 teaspoons of Fruit Fresh or 1/4 cup of lemon juice to the bowl of chopped peaches to prevent browning. Measure the sugar into a large non-reactive canning pot. Add the peaches and 1/4 cup lemon juice, and butter if using to the pot of sugar. Stir well to moisten all of the sugar. Turn the heat on low, stirring occasionally until the sugar starts to dissolve. Turn the heat up to high and bring to a full rolling boil, stirring constantly. Add the Certo Liquid Pectin to the pot and continue stirring until it comes to a full rolling boil again. Boil for 1 minute exactly, stirring constantly. Remove the pot from the heat and fill jars leaving a 1/4 inch head space. Wipe jar rim and threads. Place a flat lid on and screw on a band just until finger tight. Process jam in a hot water bath for 10 minutes. Remove jars from water bath canner and set on a towel on the counter. The next day check for a proper seal and store. Jam will keep for one year. Take advantage of the sweet plump fresh peaches of summer. This Summer Sweet Peach Jam recipe is an easy jam recipe to make made with summer fresh peaches. Calories are for each 1/2 pint jar. 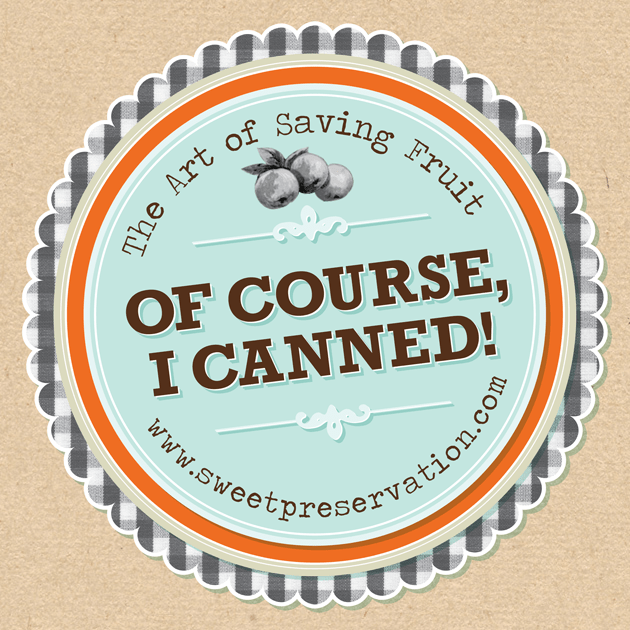 For more canning information, canning recipes and fun canning labels check out the SweetPreservation website. 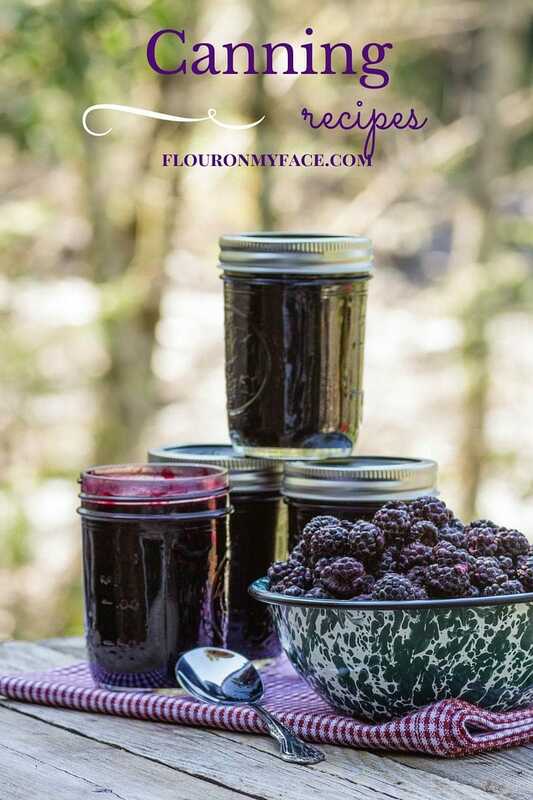 For the full list of canning recipes check out my canning recipes page.